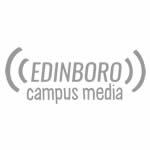 The Edinboro women’s cross country team captured its second straight PSAC team championship on Saturday morning. SLIPPERY ROCK — Cross country standout Ida Narbuvoll performs better on flatter courses. One wouldn’t garner that from her performance on Saturday. The Norway native conquered the topographically difficult 6,000-meter course at Cooper’s Lake Campground, winning the individual women’s title at the 2015 PSAC Cross Country Championships, hosted by Slippery Rock University. Narbuvoll crossed the finish line in 21:46.8, leading the way for her teammates, who weren’t far behind as Boro claimed its second-straight women’s team conference crown. 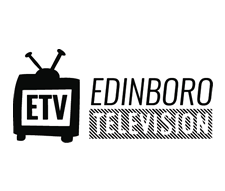 Edinboro won the team competition with 90 points. East Stroudsburg took second with 102 points and Shippensburg finished third with 111 points. The women’s team will go into that race as the favorites after claiming the PSAC championship and crowning its first individual women’s champion since 2006. Additionally, Narbuvoll is the first freshman to win a PSAC individual title since 2008, earning first team All-PSAC honors and being named the 2015 PSAC Women’s Cross Country Most Outstanding Athlete. “In the first half of the race, I wasn’t that confident,” she admitted, holding her newly acquired hardware. Narbuvoll’s teammates weren’t far behind her at the finish line, as four others earned second-team All-PSAC honors. Emma Sullivan, who got as high as the top 10 during the race, finished 16th with a time of 22:50.9. Senior Anna Hosel finished 21st, Abbey Lang took 24th and Bekkah Bond earned a 28th place finish. Additionally, Abby Peters, Kaitlin Daubert and Elizabeth Mansfield also competed in the women’s race. 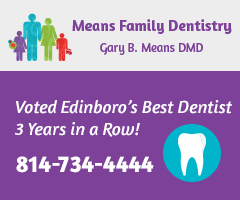 An Edinboro representative was in the leading pack in the men’s race, as well. Senior Elliot Martyknkiewicz paced Boro’s men’s squad with a second-place finish, posting a time of 25:10.9 on the 8,000-meter course. Lock Haven’s Dylan Mountain ran away from the entire field, claiming the individual title with a time of 24:57. Hammer noted Mountain may be in contention for a national title in a few weeks. Hammer also seemed pleased with the East Aurora, New York native’s performance. His finish earned him first team All-PSAC honors for the second time in his career. Two other Fighting Scots earned All-PSAC accolades on Saturday. Jon Gusew finished 21st with a time of 26:12.0 and Corey Wefing came in 25th. Logan Kempney and Mike McLaughlin rounded out the top five for the Fighting Scots. The pair finished 34th and 58th, respectively. Additionally, Brady Deaner, Daniel Nowak and Nick Bosser also competed for Edinboro in the race. The squads begin to prepare for the NCAA Division II Atlantic Region Championships, which are set for Nov. 7 and are hosted by Lock Haven. Their fate for the national championships will be decided based on their performances. 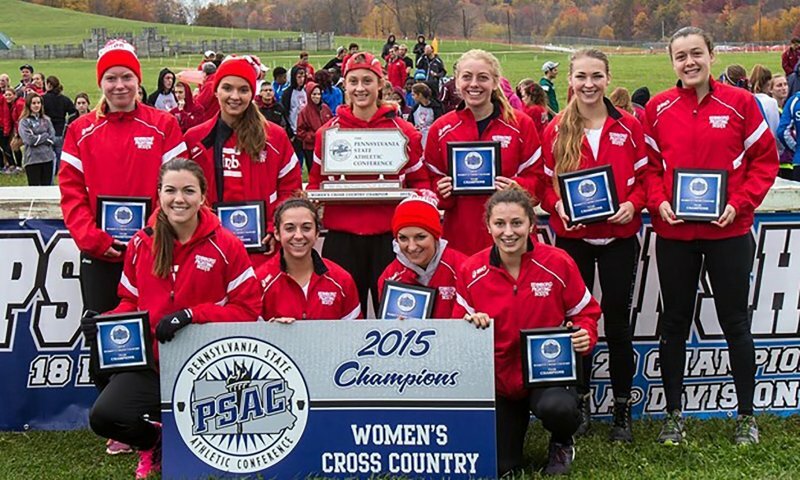 The Edinboro women’s team is the defending regional champions as well.